Benefit from the expertise of a renowned cosmetic surgery specialist. Ask for advice, ask your questions freely and discreetly. Correct imbalances, defects and signs of aging of the face. Correct breast volume, symmetry and sagging . Correct persisting fat deposits, tissue sagging and body contours. 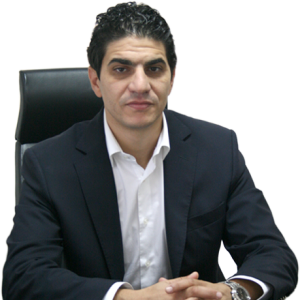 Doctor Walid Balti is a board certified surgeon qualified in aesthetic, plastic and reconstructive surgery and registered at the Tunisian medical board under number N°1336. Former intern of the renowned university hospital of Nice, France, Dr.Balti's been practising for more than 10 years in the most prestigious clinics in the capital, his great expertise in the field of cosmetic surgery and aesthetic medicine is the reason why his patients travel from Europe to benefit from his care. Dr Walid Balti knows exactly what patients of our time are bothered by on an aesthetic point of view, he will carefully listen to you during your consultation to insure the success of your cosmetic surgery in Tunisia. The cosmetic procedures in Tunisia performed by Dr Balti take place in the most modern private clinics of the capital, approved by the ministry of health and meeting the highest security and hygiene standards. Dr Balti will handle your file, without any intermediary, from the preoperative consultation to the end of the postoperative follow-up. 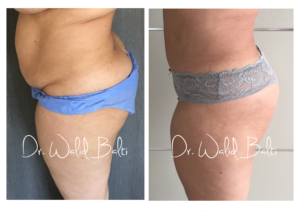 Dr Balti offers you a large variety of surgical and non-surgical treatment in Tunisia including breast augmentation, liposuction and rhinoplasty. He uses the less invasive techniques currently available to provide his patients with the results they expect and minimize their recovery time. His comprehensive knowledge of male and female aesthetics make him an outstanding specialist capable of correcting body imperfections and defects while preserving its natural appearance. 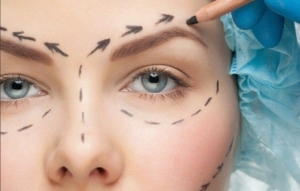 This website aims at providing you with all the important information about the cosmetic surgery in Tunisia of your choice and a direct line to Dr Balti through the contact page. The information in this website are not a substitute to a real consultation, which is the only way to determine the optimal operating plan for a particular patient. 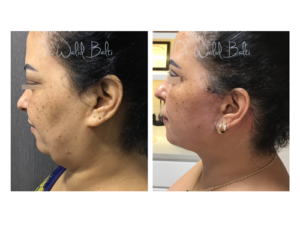 Visit the 'before & after' page of the website to see the results of the treatments performed by Doctor Balti. 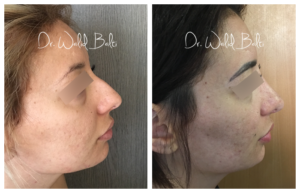 Non-surgical rhinoplasty : is it efficient for your nose ?